Dr. Thomas F. Bertonneau is a professor at SUNY-Oswego. 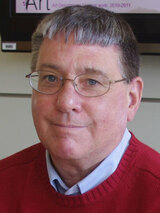 He is the author of the Mackinac Center's 1996 report, Declining Standards at Michigan Public Universities. He received his Ph.D. in comparative literature at the University of California-Los Angeles in 1990. More than 20 of his articles and essays on ancient and modern poetry, the modern American novel, critical theory, anthropology, and pedagogy have appeared in a diverse array of scholarly journals including Sagetrib, William Carlos Williams Review, Wallace Stevens Journal, Studies in American Jewish Literature, North Dakota Quarterly, Michigan Academician, UCLA French Studies, and Profils Americains. Bertonneau has made more than 30 professional presentations of his work before various academies and associatioins. He was a featured presenter at the first Symposium on Generative Anthropology, UCLA, in 1990. He is a member of the Colloquium on Violence and Religion, the Michigan Academy of Sciences, Arts, and Letters, the National Association of Scholars, and the Modern Language Association. Bertonneau has taught courses including American literature, literary theory, freshman composition, science fiction, mythology, and the poetry and prose of the romantic era, at UCLA, CMU, and in the CMU Extended Degree Program.